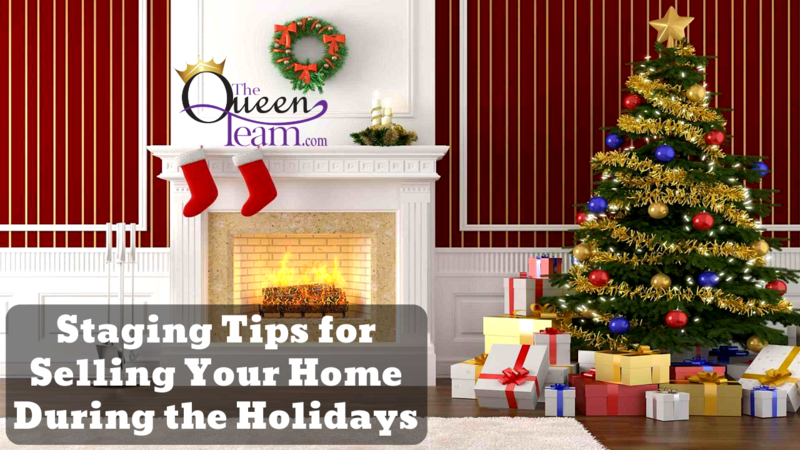 If you plan on selling your home during the holidays, I have four tips to help you stage and decorate your home without overwhelming potential buyers. This time of year, the calendar is packed with holiday parties and budgets are strained by gift giving. A lot of people think that now is not the season for real estate. The good news is that there are still plenty of brave house hunters out there who do venture out during the holiday season in serious pursuit of buying a house. The right decor and stylish trimmings can make them want to celebrate the holidays in your home. Clean and stage before you decorate your home. Your home needs to be staged. If your home is already piled high with clutter, adding ceramic holiday decorations will only increase the sense of overcrowding. Limit yourself to a few items of holiday flair and stash the rest in the basement for now. A few decorations can stir the holiday spirit, but don’t feel obligated to hang every last ornament. Make sure your decorations are in tune with the feel of your house. Compliment your palette. Before you start untangling cobwebs or tinsel, make sure your holiday decor matches your current decor. If you have an earthy color scheme, focus on decorative accents with rich tones like pumpkins, cranberries, and forest greens and golds. Keep your decorations in tune with the feel of your house. Accentuate the positive. Too many decorations may distract buyers but the right accessories can draw attention to your home’s best features. Hang ghoulish ghosts or dangle a mistletoe in archways or display your menorah in front of bay windows. Don’t block the view with sticky holiday decals or clutter the elegant fireplace with too many personal, seasonal items. We know you love them but not everyone will. Go light on the lights. Step away from the inflatable snowman! Remember, one man’s light is another man’s tacky, so tone down any over-the-top displays while your home is on the market. (No, your neighbors didn’t pay us to say that!) Instead, use simple string lighting to play up your home’s architecture.